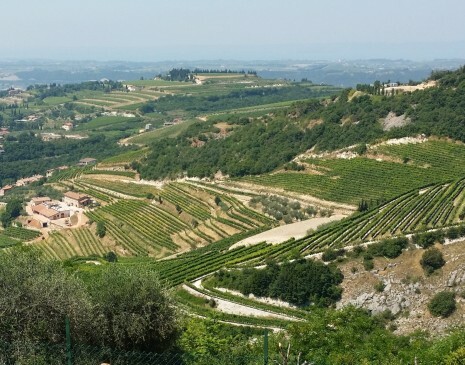 A few months ago I was at an Italian wine tasting event in Sydney and ended up chatting to a lovely lady named Anastasia who is the export manager for Allegrini Wine, a producer from the Valpolicella viticultural zone just north of Verona and part of the greater Veneto wine region of north-eastern Italy. I told her how I would be off visiting family in Ireland around June and would be taking a trip into Italy for a few days but I hadn’t yet chosen what wine region or wineries to visit. For many years Valpolicella was known for making bulk table wine of ok but also average quality. I had been hearing for some time that this particular reputation was far out-dated and that they now produced some fine Italian wines. 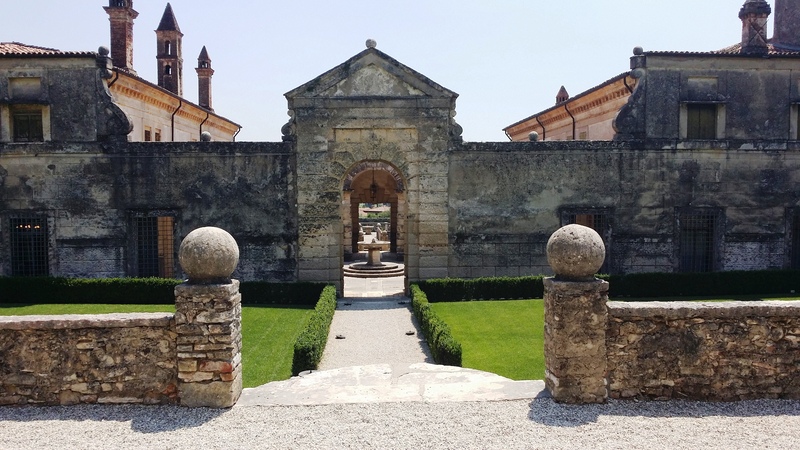 I’d just finished a master class where I tasted some seriously good Italian wine but it was the Amarone wines of Valpolicella that I was most impressed with so I was keen to find out more about the region. Anastasia was clearly passionate not only about Allegrini but also the Valpolicella wine region. She even pulled out a huge map of the area and began running me through all the different hills and valleys that produced the finest wines. Anastasia had me sold on the region and after tasting the wine, especially their Amarone, I was pretty well close to sold on visiting Allegrini. Then to top it all off, Anastasia said she’d come and pick me up from Verona and drive me around the vineyards if I was keen. A chauffeur… what every wine drinker needs and wants! So that was it, wine region and winery chosen with an offer I couldn’t refuse. So, just after 10am on a beautiful day in mid June Anastasia arrives at the hotel to pick my wife and I up and there’s 2 other people in the car. Yay, a party! It just meant more people to share the experience with and what an experience it was. We drove about 20 minutes or so out of Verona and up to the top of a hill in the vineyards of Valpolicella. Sitting at the very top of this particular hill, the historic La Grola hill, is the 2.65 hectare / 6.5 acre La Poja vineyard. 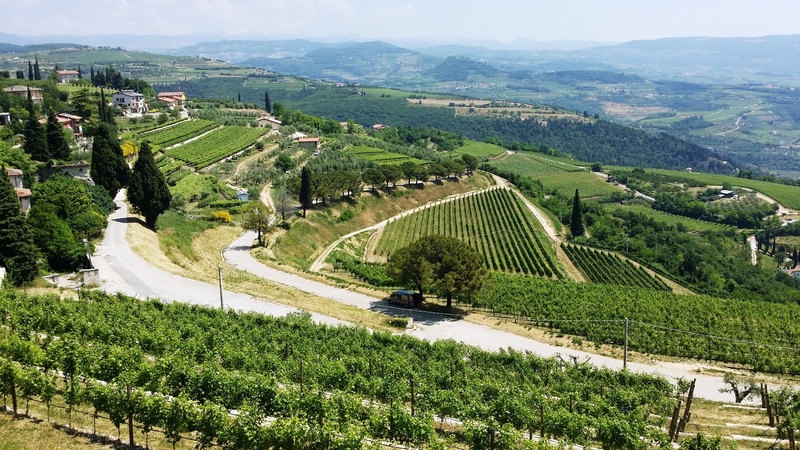 It seems like the top of the hill has been carved off leaving a flat triangular plateau that has been planted with vines, the red Corvina grape in particular. This tiny flat on the top of the hill, with soil that is about 80% chalk, produces Allegrini’s premium red wine “La Poja”. Anastasia had taken us straight to the top! I could say it was all down hill from here, but it wasn’t. The views from the top of the hill were nothing short of spectacular. You could even see the Alps off in the distance between the vines. And a few metres down the hill on another plateau was the La Grola vineyard which produces another delicious wine, as I was to discover, one which has a bit of Shiraz thrown in for good measure. We headed down the hill and up the adjacent mount to San Giorgio, an ancient village made out of the local stone, the same stone quarried nearby by the Romans to build the Colosseum in Verona (ahhh, so that may be why La Grola hill has had its top lopped off). From this fascinating village we were able to look across the valley to the La Poja and La Grola vineyards (see the photo above). From San Giorgio we drove to the terraced Corvina vineyards that produce Allegrini’s Amarone, an utterly delightful wine crafted via the traditional drying and pressing method that dictates how this wine style must be made in Valpolicella; a process that creates a concentrated red drop. We then visited the massive drying centre before heading to Allegrini’s amazing tasting centre in Fumane, the Villa della Torre. The mid 16th century Renaissance inspired Villa della Torre has too long a story to go into here but it’s worth looking up. Each of the rooms have a freaky fireplace with the least intimidating one being the angel adorned fireplace where we got to taste the red wines of Allegrini, actually, where we got to drink them, savour them. Allegrini’s own chef brought us in a selection of Italian breads, cheeses and meats along with their own-made condiments to keep us well fed while we went through the wine… absolutely sensational. Time to tuck into those reds! I won’t go into a lot of detail about the wines, I may do a dedicated tasting post down the track, but I can tell you that all five of their reds that we tasted were beautifully crafted for their style and I’d happily sit back and drink any of them any day. The 2013 Valpolicella Classico, a lighter style wine but not too light and still packing loads of flavour and enjoyment that would probably suit a lighter meal while sipping outdoors. I’d even give this one a go with a BBQ. My wife really liked this wine and it was probably her favourite of the day. The 2014 Palazzo Della Torre, a bit heavier and more on the medium end of red wine. I really enjoyed the soft finish of this drop and it seemed to go quite well with the cheeses and meats. A totally balanced wine and I believe it’s the most popular Allegrini red in the US. The 2010 La Grola… this one was so beautifully scented that I just kept sticking my nose into it before sipping. Not only did it give off lovely berry aromas, it also had an obvious mocha scent that was very inviting. Although 80% Corvina, along with 10% Oseleta, the 10% Syrah was very obvious and gave the wine a very enjoyable complexity, and probably a fair bit of its spicy and earthy/mocha components. The 2009 Amarone della Valpolicella... I loved it the first time I had it and this wine just popped that love up a notch. This was the wine that got me here and I happily topped my glass up after finishing the first one, not being greedy or anything. I’m glad Allegrini were feeding us because this high alcohol beast packs a punch… but a delicious one. It’s a super car… a show pony… it just stands out. The 2008 La Poja Rosso del Veronese, there’s only about 14,000 bottles of this produced due to the small vineyard size so we were privileged to get to drink this one. Made of 100% Corvina it’s a powerfully intense wine that has needed those 6 years to develop. I couldn’t get my nose out of this one either, I was just drawn in over and over. It was a very well-balanced wine with loads of dark cherry flavours along with a hint of toast and spice that just lasted and lasted in the mouth after each sip. I think it would mature into an even more enjoyable wine over the next decade. If you’ve got the coin, because you’d need it, the Amarone and the La Poja are so worth the experience… they’re just lovely. But the value for money wine is very much so the La Grola. It’s a very enjoyable wine offered within a price range most people could afford. The Classico and Pallazo Della Torre are good wines too and I’d happily sip on either at a café. There were four of us there and each one of us had a different favourite wine. And as you can see, I got right into it! Like a pig in a trough. What a day!! It was a privilege. Next It’s Riesling with Indian! You lead such a lovely life!!! Great article! When it’s good it’s good… thank you! Great post. What a great trip. Love the great people & wine of Allegrini! 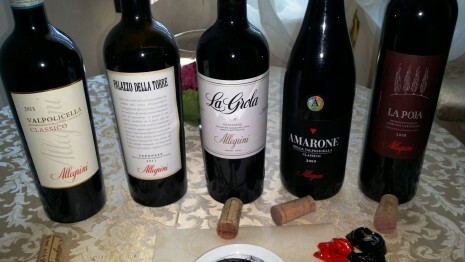 I’m guessing the Amarone would be my fav! Such a unique wine. Cheers! Hi Michelle! Good to see you’ve kicked off a WP blog by the way. As deserved as the La Poja is to be their flagship wine I too can’t get past the Amarone… It’s just lush! Thanks Melissa! Yes, it was sensational. It’s a great place for a wine lover to be! Really enjoyed this post – part great wine review and part travel journal…now a full time gig doing that might be a dream! Gorgeous! I so want to visit Italy! Grazie for a TERRIFIC post! We truly appreciate it and are very glad you had such a lovely experience. Yes it was a great experience for us… and it’s an honour that you took the time to comment Lael. Salute! Oh Goodness..you just had me reminiscing and I enjoyed reading about Italy. I haven’t been back there in so many years, posts like yours make me think about my roots and yes, it’s time to get serious about a trip to Europe. Thank you….good as always! Definitely get serious! Thanks so much for stopping by. Prost! Yes, they are pretty good. It’s clear that they are all very dedicated to the cause of producing great wine. Wow, what a great way to spend a day. Allegrini are one of my favourite producers. Agree that the La Grola is great value for money. Yeah, we were blessed. A pity some of their wines are hard to get over here. Worth seeking out though. Ohh WOW. What a dream come true! Savor every second you get to experience things like this! Thank you, it was a special day indeed! What a terrific trip, I believe I could just use this as a roadmap. love, love , love this. I went to a tasting recently and they used tiny, squat white Burgundy glasses to taste Italian Wines. I almost died. You couldn’t swirl, sniff, nothing. Hence forth: can i just say that the table with the perfect Bordeaux glasses and the Pellegrino made my heart skip a beat. They couldn’t have had a better setup for the occasion. Salute! What a serendipitous situation you had, Conrad! Lucky you, Conrad, you get to go to Italy. It looks like they served you way more wine than tasty Italian food…but then again, you traveled for the wine 😀 Which was better: the scenery or the wine? Oh yes, it’s always about the wine for you 🙂 Must always make room for the wine, always. Glad to see you’re back here, was wondering why I haven’t heard from you in ages. I was away for 5 weeks visiting the wife’s family in Dublin, with a couple of side trips onto the mainland. No time for a full blog post during that time but plenty of material to write about… when I get the time after catching up on the day job (could I have used the word “time” any more times?). By the way, for such a seemingly trim girl you have a fascination with food. lol. That’s good to hear you had a getaway. We all need those once in a while…I mean, quite often 😉 Time. I bet time slips by when you get down to tasting wine for the blog. Thanks Lynette. I was impressed with both the region as a wine tourism destination and the wine. Wine seems to always taste better right there at the source. What a wonderful opportunity in Italy! Excellent post. Thank you for recently following my humble blog! Cheers! You’re right, it does seem to taste better. That’s probably because a lot of the enjoyment of wine is the mood of the occasion. That’s why drinking while down usually doesn’t end too well. Thanks so much for your visit! How absolutely magnificent! I just had the good fortune to sample some of Valpolicella’s offerings, and all were wonderful, but your experience sounds amazing! 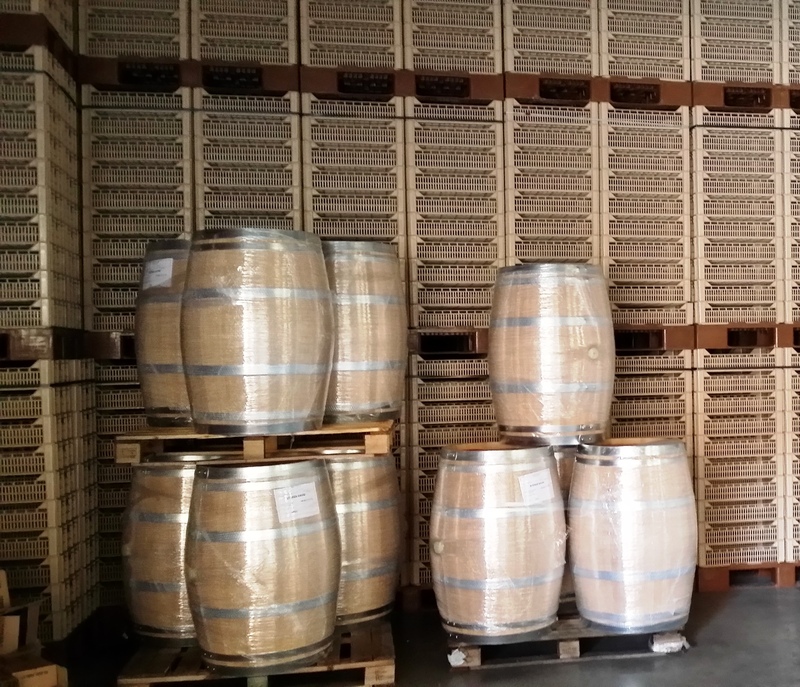 Thank you so much for sharing your tasting notes and pictures! Salud! I’m glad you’ve tried some recently Connie, the quality nowadays seems pretty good from the bottles we were having while in Verona. Thanks for your regular visits! Sigh. I need to get back to Italy. It’s been a couple years. Never been to this region so that’s a good excuse! It’s the perfect excuse, you won’t regret it! I have a special fondness for Valpolicella as once upon a time it was just about the only Italian wine available in the US. 🙂 At least where I lived. I’d be interested to know how you find the quality nowadays compared to years ago. Not sure I can comment on that. My memories are dim at best. 🙂 I can tell you that I recently tried Le Ragose Valpolicella Superiore Ripasso and it didn’t ring an memory bells. Hello Conrad, you complete and utter wine wanker! (Love that I can just say this!) – Hows it going? I see you in my like list occasionally thought I’d pop over – despite being more or less teetotal! In any case, in spite of that have always like your growing enterprise at your blog home. Great name, great concept, cool blog. I wish you well with it. HAHAHA! Good to see you stop by. Salud! Gorgeous! What could be better? Adding these wines to my Must-Sample List. Out-of-town family is visiting at the end of the month for a wedding, and I will have at least one bottle on hand to help celebrate the event. What a wonderful experience this must have been. Thanks for sharing – I feel like I’ve had a wee vicarious Italian vacation. 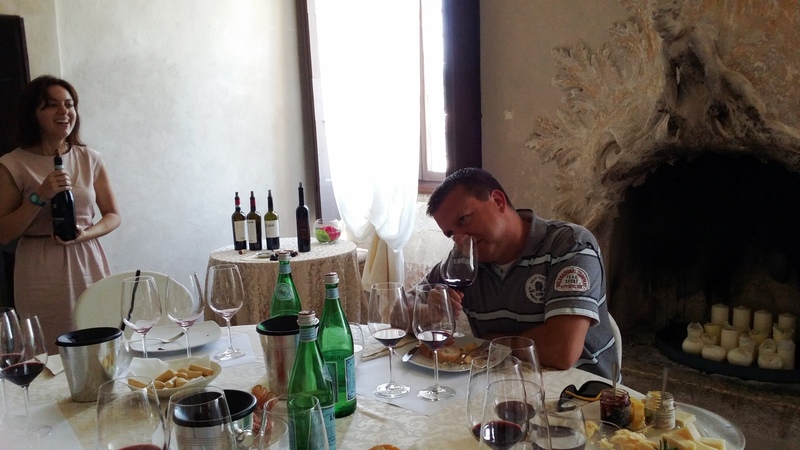 It was a brilliant experience and I’d love to hear how the Allegrini wines go if you get any. Salute!! Excellent article on some great wines. I can’t wait to get back to Italy. Your first class on this! Thanks Brian… it’s a top location to visit. Not to much of a fan of Amarone but I agree that Valpolicella has improved beyond recognition in the past few years. 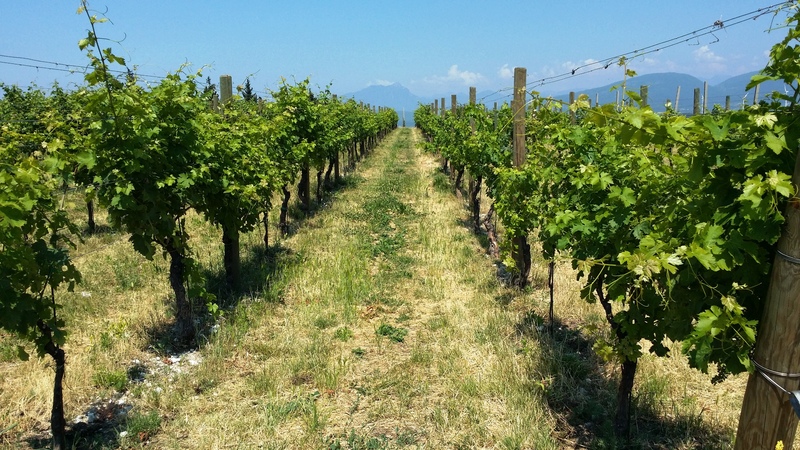 Italian wine country, no matter where, is just so fantastic. Gotta love the people and their passion. We went up to Valtellina (just south of Switzerland, really), and had a fantastic time there, then Le Marche, then Tuscany. Every place is special, but all are amazing. Congrats for this amazing vacation! Without doubt, it was a pleasant and delicious experience. Very good content – enjoy the information.